In a week, if all goes as we've planned it, we'll be cruising through the Panama Canal with Lindblad/National Geographic Expeditions, and then on to Costa Rica where we hope to see lots of wildlife. Our ship goes through the canal at night, as the big freighters have daytime priority, but I think it's going to be very exciting. Though not as exciting as swimming through the canal, which has been done exactly once, in 1928, by adventurer Richard Halliburton. 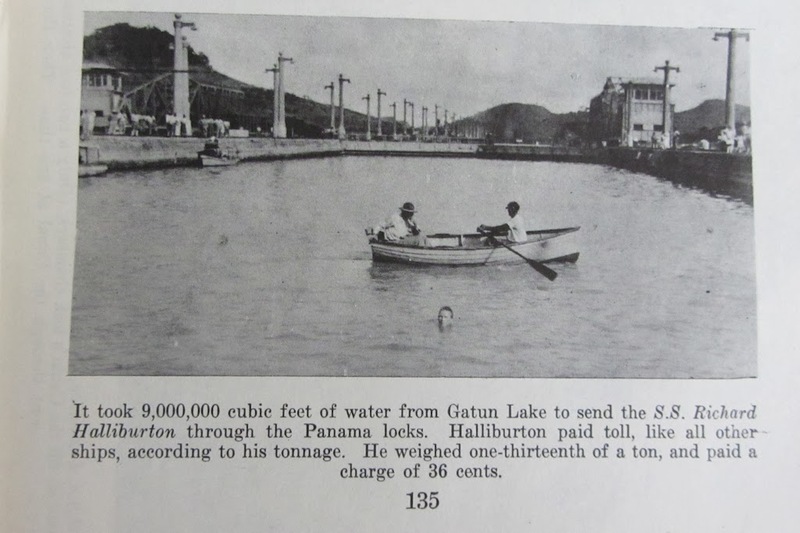 He paid 36¢ for his toll, and was accompanied by a rowboat. My longing to travel began when I was around 12 years old, when a neighbor introduced me to the books of Halliburton, a travel writer who had been active from 1920 until his disappearance in the Pacific Ocean in 1939. She loaned me all of them, beginning with the Book of Marvels, a compendium of his adventures. The swim in the Panama Canal was described in the book New Worlds to Conquer, in which I also recall the descriptions of the fortress in Haiti and the story of the rebellion there in the early 19th century. One of the copies she let me read was even autographed -- years earlier, when she was in high school, she had gone to a book signing at a bookstore near her home (I think she was from Connecticut). She had been an avid fan, and described what a handsome man he had been, saying how she hung around the bookstore all afternoon just looking at him. 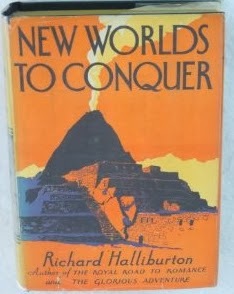 Halliburton still appeals to a surprising number of readers, despite or maybe because his books describe a world that's no longer the same, and describe a sort of adventure-seeking that way too many people have attempted to copy. An article in the Guardian just last year called him "the greatest adventurer in history" -- see "Seven League Boots by Richard Halliburton – review" by David Shariatmadari, published February1, 2013. This reviewer writes that according to Halliburton, "Traditional societies, black ones in particular, are 'primitive'. His retelling of the astonishing story of Henri Christophe, King of Haiti, is polluted with racist condescension and stereotype. But curiosity and a love of the unfamiliar also leap from the pages." I didn't have that kind of sophistication when I was reading the books. I just loved the idea of those adventures. If you can't resist saying to me "A man, a plan, a canal, Panama," I'll answer "Rats live on no evil star."